Non meat dishes for anytime of the day! Lent is a season wherein Christians fast and give up worldly pleasures until Easter Sunday. It is also a time to pray, reflect, and give to the poor. Lent lasts a total of 46 days, we’re here with a two-part series to help out those who are fasting this season. 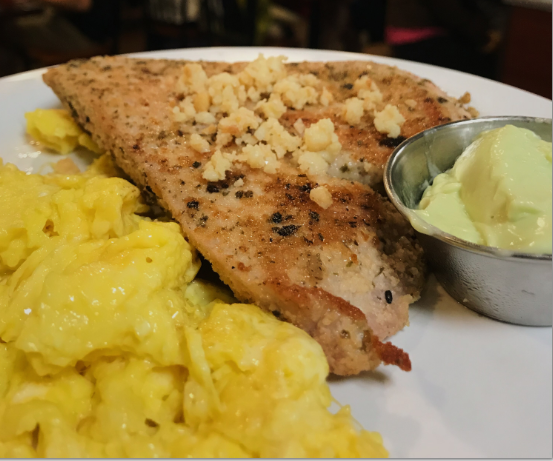 First on our list is our Ahi Steak and Eggs. Ahi is how Hawaiians call the Yellowfin Tuna, a species found in tropical and subtropical waters all over the world. Our Ahi Steak can be cooked rare, medium rare, medium, medium well, or well done. You can also choose your rub for it: we can simply sauté it and we also have a Cajun or Furikake Rub for your Ahi. This dish is served with eggs cooked your way and your choice of potatoes, pancakes, or rice. Another non-meat choice is our Eggs Benedict Florentine. 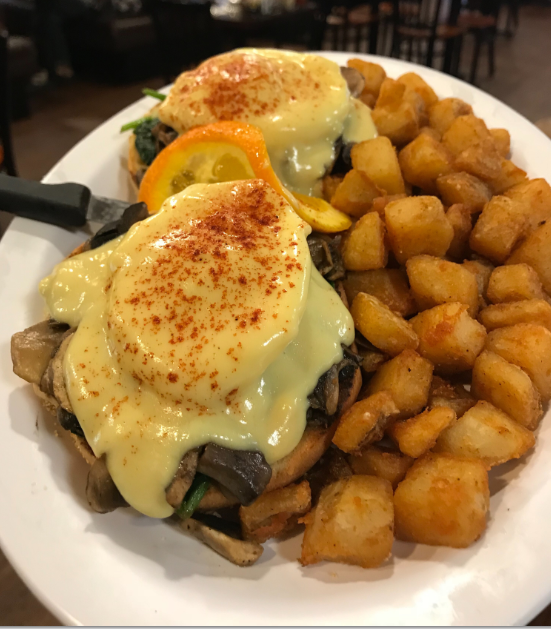 Just like our very popular Eggs Benedict, the Florentine comes with English muffins, poached eggs, and hollandaise sauce, but we switched out the Canadian Bacon for sautéed mushrooms and spinach. This makes it a lighter choice over the Eggs Benedict, and a Lent-friendly option until Easter. These menu items are available from 7AM to 2PM and 4PM to 11PM, so you can have it for breakfast, lunch and dinner! Also, our Vegetarian or Meatless dishes are not limited to the above items. Stay tuned next week for part 2 tackling Lent-friendly dishes on our menu.